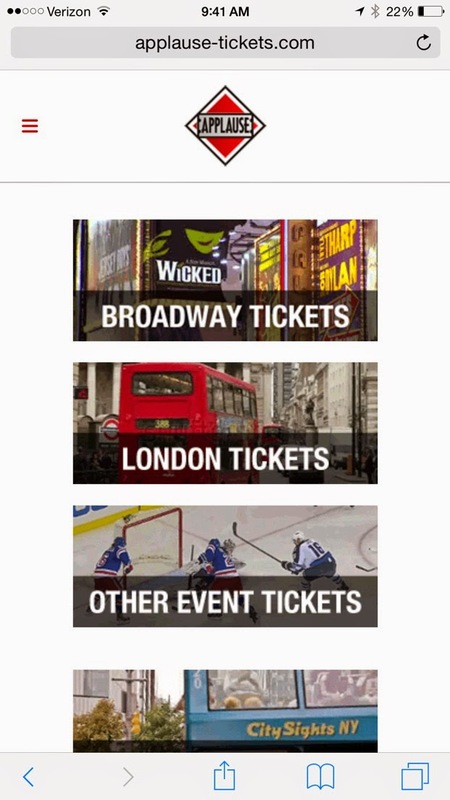 Who Needs an App When You Have a Terrific Mobile Website? 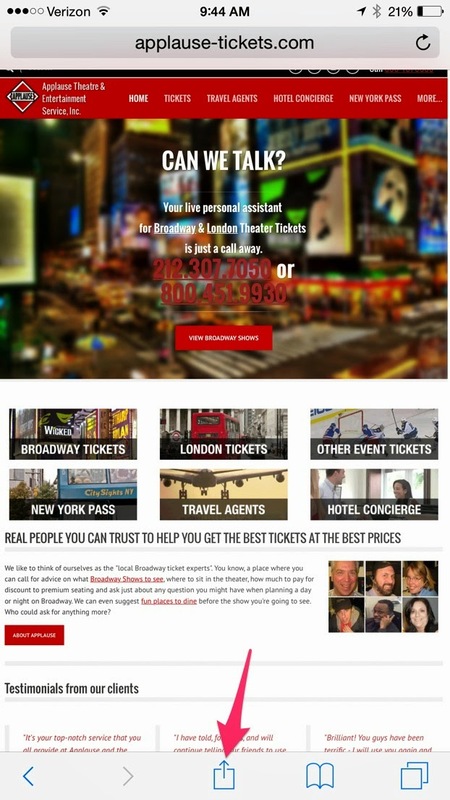 Theatre fans like you will want to visit our website often to keep abreast of the latest Broadway and London shows. One way to make it easier for you to visit our website often is to create a mobile shortcut on your phone or tablet device. It will look just like an app but better. 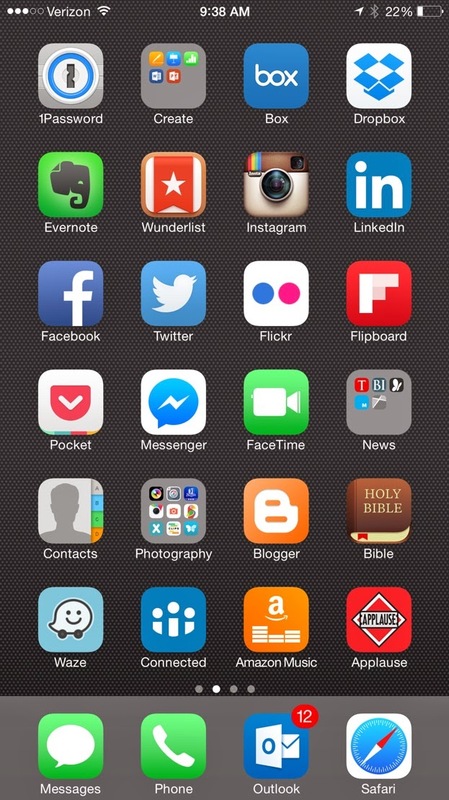 It takes up zero space on your mobile device. Creating a shortcut is essentially a web browser link so it will not take up any precious drive space on your mobile device. You'll never have to download updates. Because our shortcut is a link to our live website, you will always see the latest show listings & news, and you will never have to download updates. 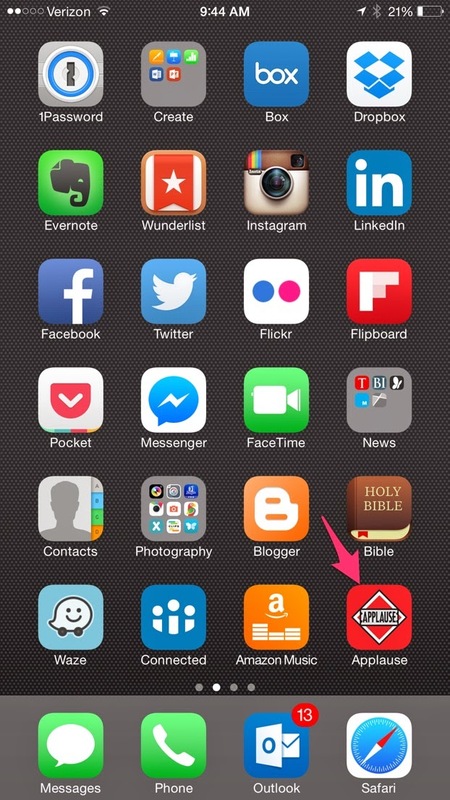 Step 1: Tap on the Safari icon to open your web browser. Step 3: (Tablet users - skip this step) If you are seeing the Mobile version, scroll to the bottom of the screen to temporarily view the Web version. We will put this back when we're finished adding the shortcut icon. 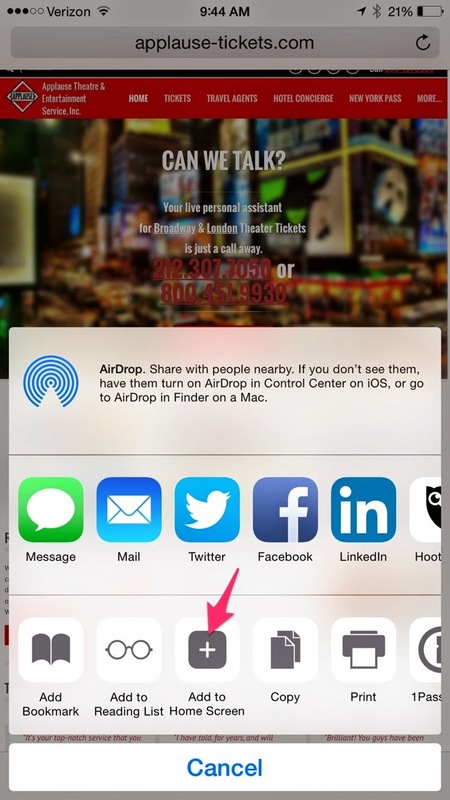 Step 4: Tap the Share icon at the bottom of the browser screen. 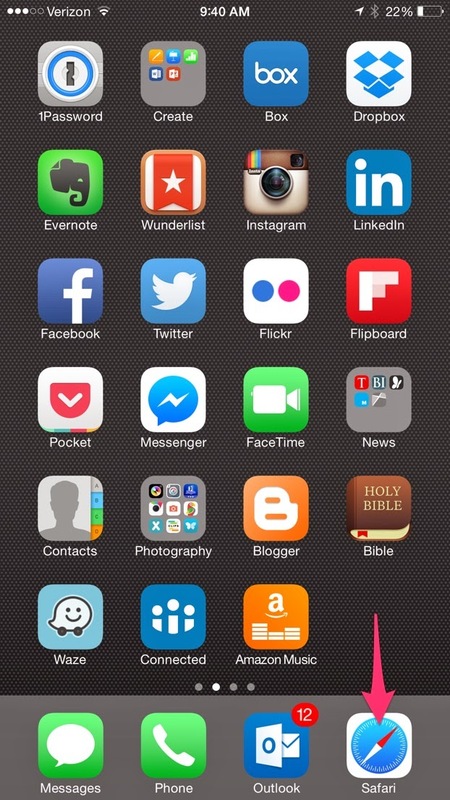 Step 5: Tap the "Add to Home Screen" button. 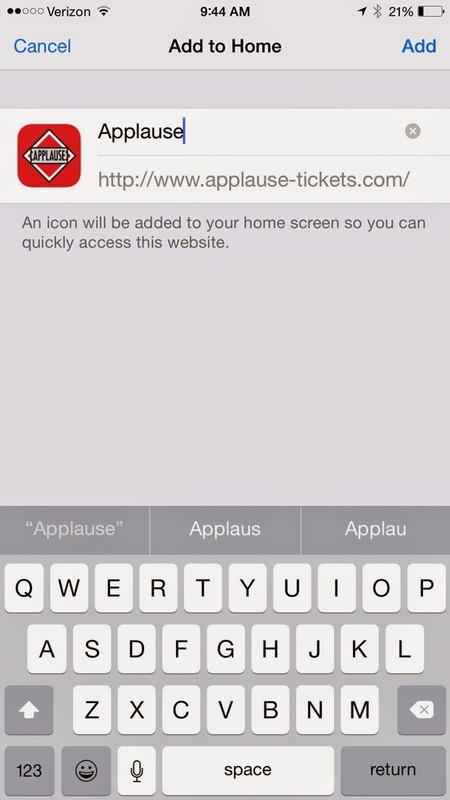 Step 6: Name the icon "Applause" and then click "Add". 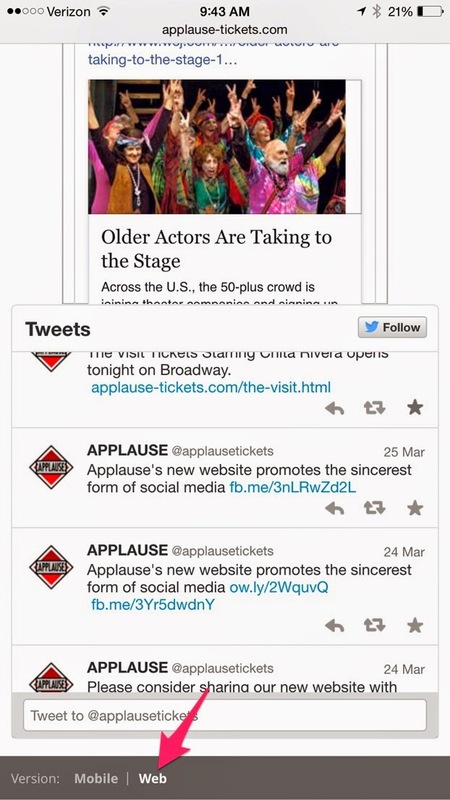 Step 7: You will now see the Applause icon on your iPhone or iPad. 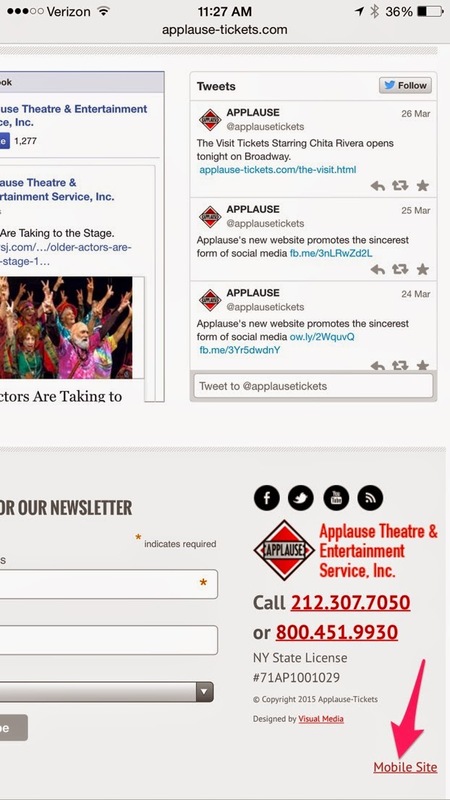 Step 8: (Tablet users - skip this step) Open the Applause site and click on the "Mobile Site" link at the very bottom-right of the screen to resume viewing our website in Mobile view on your phone. Enjoy our new Mobile friendly website and visit us often!